Yet we human beings have another “heart” – a spiritual one – that is the true center of our existence. Our spiritual heart is our identity. It is the foundation of our whole being, from which our desires, designs, purposes, will, thoughts, and attitudes originate. Yet, as a result of the fall and our sinful nature, we all have symptoms of “heart disease”, and we need to know how to become spiritually heart-healthy. As the Scriptures say, “The heart is deceitful above all things, and desperately wicked; who can know it?” (Jeremiah 17:9). Every spiritual, mental, and emotional matter – and many physical ones – is rooted in the heart. The state of our spiritual heart affects all aspects of our daily living. Therefore, the condition of our heart will be the condition of our life. 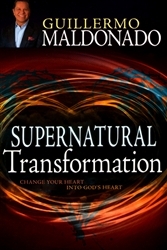 Join Apostle Maldonado on a journey of discovery into the purpose, motivations, and potential of our spiritual heart. God wants us to understand how, in Christ, our heart is designed to “pump” life to our entire being – producing mental, emotional, and physical health and removing the toxins of sin. Chapter 4: Heart of “Stone” or Heart of “Flesh”? Apostle Guillermo Maldonado is a man called to bring God’s supernatural power to this generation at the local and international levels. 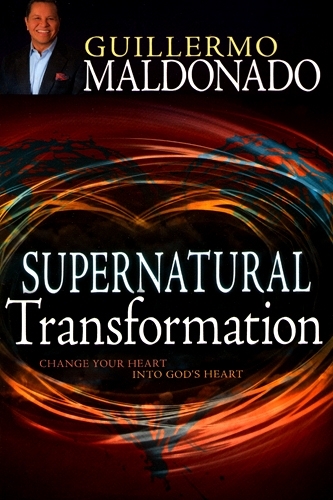 Active in ministry for over twenty years, he is the founder of Ministerio Internacional El Rey Jesus (King Jesus International Ministry) – one of the fastest-growing multicultural churches in the United States – which has been recognized for its development of kingdom leaders and for visible manifestations of God’s supernatural power. Having earned a master’s degree in practical theology from Oral Roberts University and a doctorate in divinity from Vision International University, Maldonado stands firm and focused on the vision God has given him to evangelize, affirm, disciple, and send. Apostle Maldonado resides in Miami, Florida, with his wife and partner in ministry, Ana, and their two sons, Bryan and Ronald.